in buildings Osprey, Pelican, or Heron. 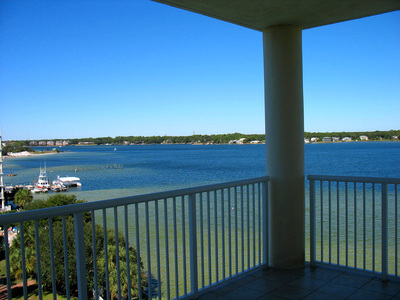 These are lovely 3 bedroom condos with 2-4 bathrooms depending on the floor plan. Building Osprey sits directly on the bay. 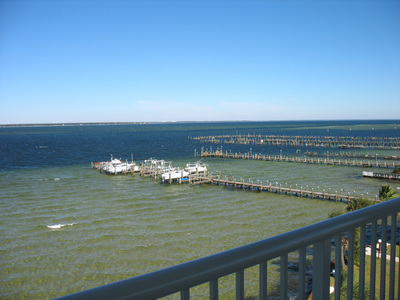 Depending upon your condo location, you might have views of the bay/beach, or bay/lazy river. 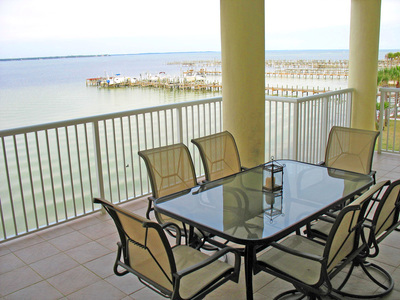 Buildings Osprey and Heron have interior upgrades like stainless appliances, marble bathroom counter-tops, granite kitchen counter-tops, and travertine floors. This is an adorable 1 bedroom, 1 bunk area, and 2 bathroom condo. 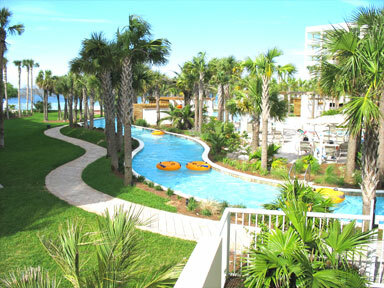 Building Pelican sits at the back of the lazy river and looks towards the bay, pool center, and lazy river. 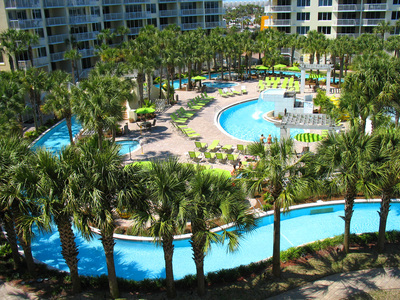 "L" condos are lanai condos that have stairs from your porch to the ground level and your own private fence to the lazy river. 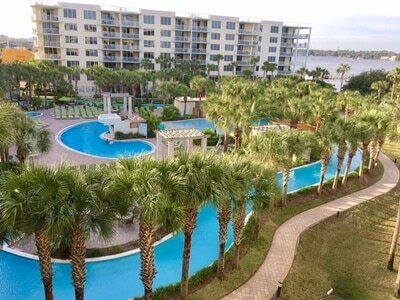 These are lovely 3 bedroom condos with 2-4 bathrooms depending on the floor plan. Building Heron sits directly on the bay. 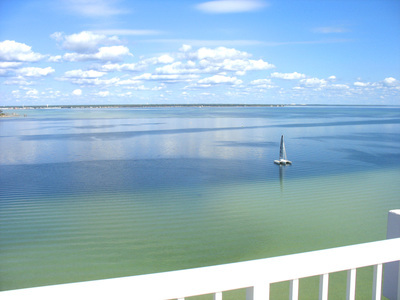 Depending upon your condo location, you might have views of the bay/beach, or bay/lazy river. 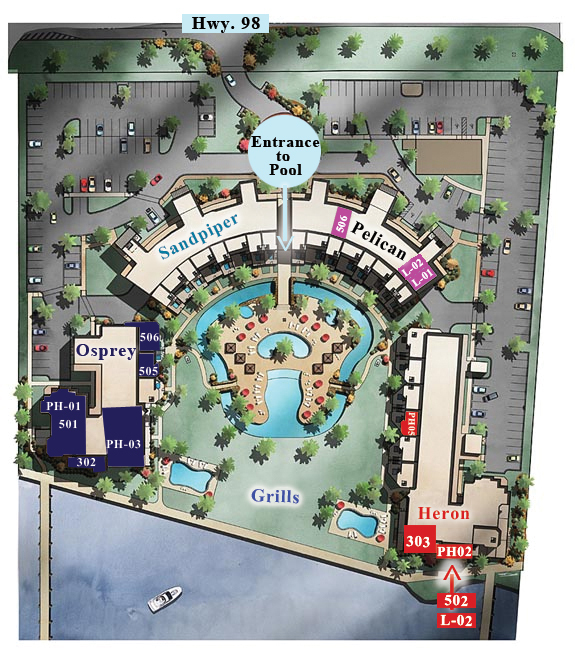 Buildings Osprey and Heron have interior upgrades like stainless appliances, marble bathroom counter-tops, granite kitchen counter-tops, and travertine floors. "PH" condos are penthouse with private roof top patios and hot tubs. 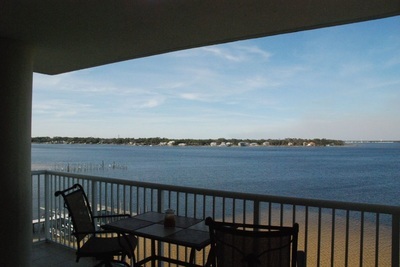 "L" condos are lanai condos that have stairs from your porch taking you to the ground level and/or garage underneath.